Early years and childhood experiences have a profound influence on health and wellbeing throughout a person’s life. These experiences strongly influence our physical, intellectual and emotional development. Many factors shape these experiences including our social and material circumstances; family structure and household health; parenting; childcare and early education; and our connections and relationships. Poverty and social disadvantage exert a very powerful influence on the potential for children and families to thrive. These factors are particularly relevant in Glasgow which remains the most deprived city and local authority area in Scotland, and where one-in-three children live in poverty. 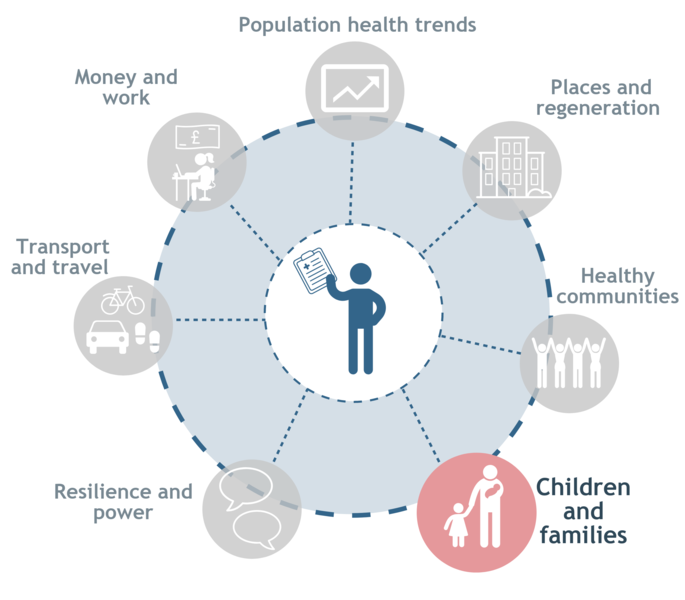 Within this context, our work aims to increase understanding of how this range of factors impact on children, young people and families, and what services, interventions and approaches could improve the opportunities and outcomes for children and young people, in turn helping to reduce inequalities.